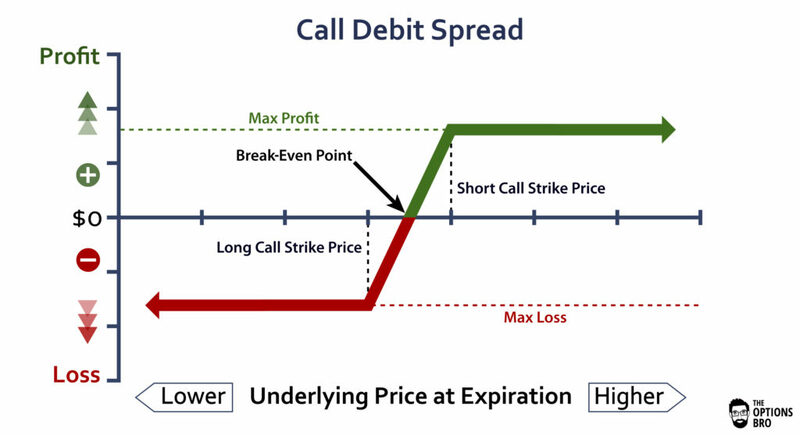 The put debit spread is a bearish options trading strategy with a limited profit as well as a limited loss. The put debit spread option strategy gets its name because it creates a net debit to a trader’s account upon order entry. A good way to think of a put debit spread is a long put with some added protection (a short put) in case the underlying asset appreciates in value. Due to the short put component part of the spread, put debit spreads are theoretically immune to changes in volatility. This makes the put debit spread an attractive options trading strategy for markets with very high levels of implied volatility, where buying conventional puts might prove to be too costly. Out of every online broker with 24/7 customer service in 2018, Ally Invest the has the lowest commissions to trade the put debit spread strategy as well as the best free options trading software. Read the Ally Invest Review. Note: like most options strategies, put debit spreads can be traded in-the-money (ITM), at-the-money (ATM), or out-of-the-money (OTM). By doing this, the trade would create a net debit of $0.30 ($30). This is why this strategy is called a “debit” spread, because it costs you money to put the position on. If stock XYZ declines, the debit spread will increase in value. The maximum profit for the put debit spread option strategy is always the difference between the width of the strikes minus the premium paid. In the example above, the max profit (most you can make on the trade) is $1.70 ($170). The max loss (most you can lose on a trade) is the amount you paid for the debit spread, $0.30 ($30). Max profit will be reached when XYZ is trading at or below the short option leg of the spread, i.e. $46 at expiration. 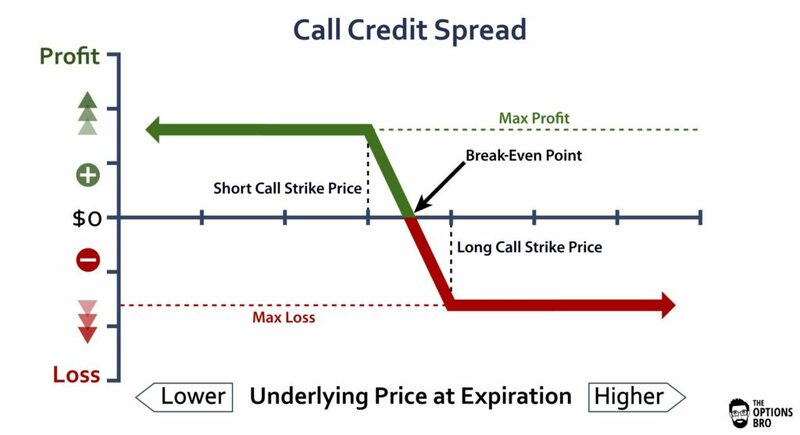 Anytime before expiration, the put debit spread will increase when the stock moves down and subsequently the spread will decrease when the stock moves up. Why Trade Put Debit Spreads? You would only want to buy a put debit spread if you are bearish on the underlying asset. This is essentially the only reason to trade the put debit spread option strategy. Moreover, put debit spreads can be an effective way to go short a stock or future and only use a fraction of the capital required to short the underlying outright. Often times, it can be very difficult to make money by purchasing puts due to changes in volatility. If there is a volatility crush, the long put options strategy can result in a substantial loss of value. Additionally, puts almost always trade at a premium to calls, making them more costly to purchase and hold (there is more premium to decay). With a put debit spread, you are somewhat immune to changes in volatility. This is one of the key reasons why traders love the put debit spread option strategy. If volatility decreases substantially, both the long and short options legs will be affected, thereby creating a neutral impact. When Should I close out a Put Debit Spread? Put debit spreads that have lost all of their value prior to expiration, as a general rule, should never be closed out. Since it’s a risk defined trade, it is not possible for the position to incur additional losses. It’s possible for the underlying asset to decline and for the put debit spread to regain its lost value before the options expire. Similarly, if a put debit spread position has reached it’s max profit, it is always wise to close out the position. It’s often not worth the additional risk of leaving a risk-defined position on and having the market move away from the position before expiration. Partially. The risk with put debit spreads, and all debit spreads in general, is the possibility of the strikes of the spread expiring between the underlying asset price. If both legs of the spread expire ITM, then the trade will be a full winner and you will have nothing to worry about. There will be no need to take action. However, if only the long call portion of a put debit spread is ITM at expiration, your account could face a potential issue if you do not have enough funds to buy the appropriate number of puts. Put debit spreads that are hovering at-the-money the day of expiration will likely be closely monitored by your options brokerage‘s risk team. If the position will create a negative margin impact on your account, they will likely reach out to you via phone and ask you to close out the position. However, don’t bank on someone else to monitor your positions. As a responsible options trader, it behooves you to always stay on top of expiring options positions. All of this can be avoided by monitoring options positions the day of expiration. Theta decay for put debit spreads is unfavorable. Everyday, if the underlying does not depreciate in value, the debit spread will theoretically lose money due to time decay. Put debit spreads are very similar to simply buying a put option. The key difference between put debit spreads and outright purchasing puts is that the short put on the put debit spread acts as a hedge. If the underlying moves up, the short option leg of the put debit spread will decrease in value, so this will offset some of the loss from the long leg of the spread. This also offsets some of the theta decay from the long put in the put debit spread. The put debit spread option strategy is an interesting way to short an asset without using too much buying power, all while limiting the potential maximum loss. Keep in mind that this is a trade that also has a limited profit. 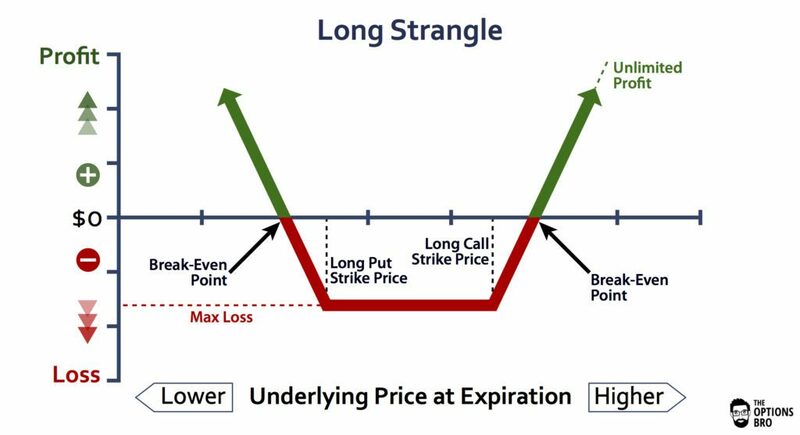 Moreover, although the put debit spread option strategy is somewhat immune to volatility changes, this is also one of the ways that the long put option strategy makes money. So be aware that put debit spreads will not increase in value if volatility increases. If the underlying asset does not sell-off prior to expiration, depending on the strike prices of the put debit spread, it generally will not be a winning trade. Basically, put debit spreads require downward moves in the underlying to be profitable trades. Ally Invest is the cheapest broker for put debit spreads. Up to $3,500 cash bonus + commission free trades for new accounts.